Get rid of that old, clunky spreadsheet. No more emailing spreadsheets or uploading to document storage sites. 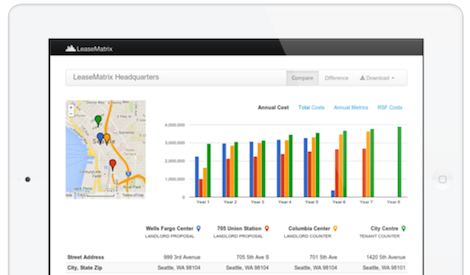 LeaseMatrix is accessible and fully functional from any computer or tablet device. Our reports contain all the industry-standard calculations, presented in a way anyone can understand. 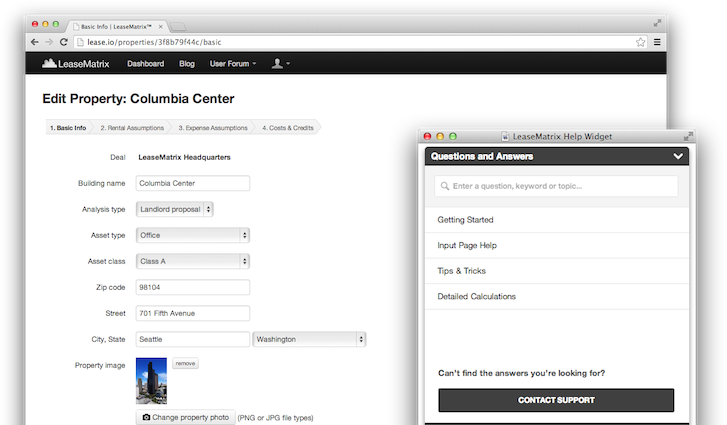 No matter if you are a broker, admin or intern you can analyze any commercial lease in four simple steps. What makes LeaseMatrix so easy to use? No matter how intuitive the software, lease analysis can be complicated. For this reason, we promise to deliver unbeatable customer support. Our patent pending technology allows users to record and maintain lease comps automatically. This process eliminated double data entry required by previous collection techniques. How does the LeaseMatrix CompVault work? CompVault eliminates the need for a separate lease comp database by summarizing the terms of every lease proposal you analyze. All you need to do is classify the final deal terms as a "signed lease" and a new lease comp is automatically recorded. CompVault includes dynamic record filtering, allowing users to quickly generate market statistics on demand. What are people saying about LeaseMatrix? 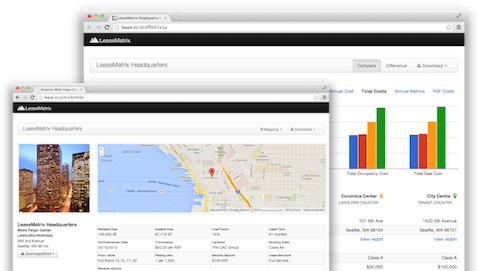 #CRE folks if you haven't used @leasematrix yet u are missing out. 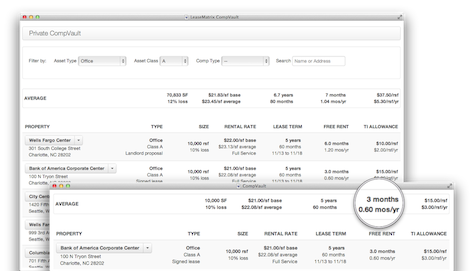 Drop Dead Simple lease analysis in the cloud. ProCalc better watch out! @LeaseMatrix helps us stay nimble and ahead of the big players which = keeping our Fortune 500 clients happy. Thanks! @LeaseMatrix big client mtg on Wed. Our network crashed. Setup 5 lease proposals on my iPad. Emailed PDF to printer and made the mtg. Nice! The MONTHLY plan provides full access to every feature LeaseMatrix offers. This plan is an affordable way to get started analyzing commercial leases. The ANNUAL plan includes every feature LeaseMatrix offers and provides a more affordable pricing in return for an annual billing cycle. The TEAM or OFFICE level subscription maintains affordability for users in larger offices or team environments.